Any attack against Iran will precipitate a harsh retaliation, Iranian President Mahmoud Ahmadinejad promised on Tuesday, in a rare acknowledgment that an American military strike on his country, amid mounting international concern regarding its nuclear program, was a realistic possibility. The statement was made amid ongoing efforts by the West to stop Iran’s nuclear program from reaching a point where it can break out to a weaponized capability. Israel insists that little time remains before Iran’s nuclear program reaches a point of no return. Prime Minister Benjamin Netanyahu has said that Israel cannot wait as long as the US to see if sanctions will be effective in curbing Iran’s drive to develop nuclear weapons. He has called for a publicly acknowledged — by the US as well as Israel — “red line” marking a stage that Iran’s nuclear program cannot pass without precipitating military intervention. 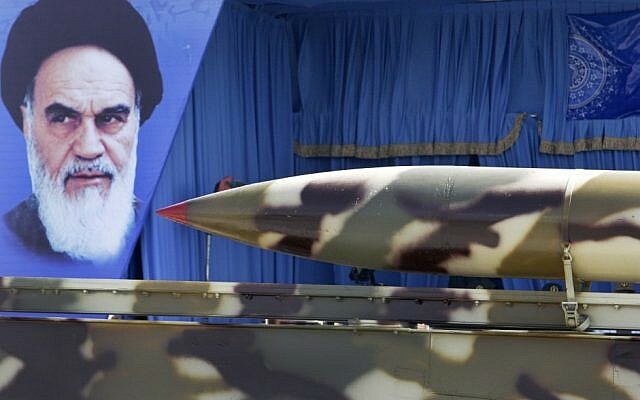 On Monday, an op-ed published in Foreign Policy cited “a source close to the discussions” who said a surgical strike plan against Iran’s enrichment facilities is being developed. The air attack, which may only take a couple of hours, would use bombers backed up by drones to take out just the key facilities at the heart of the bomb-making program, setting it back by several years. The US has repeatedly stressed its belief that there is still time for sanctions and diplomacy to thwart the Iranian nuclear drive, and is apparently wary of being drawn into another protracted Middle Eastern conflict. However, a limited strike would set Iran back while benefiting the entire region by sending a clear message to Russia and China of US influence, the report said.